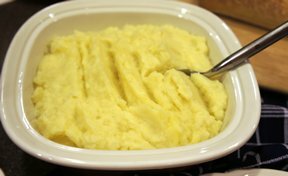 A creamy and tasty side dish for any occasion. The crunchy breadcrumbs add texture to this delicious vegetable dish. 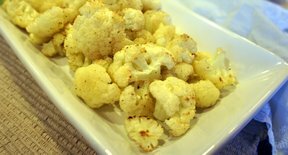 You are sure to love it if you are a cauliflower fan. In a large pot bring salted water to a boil. 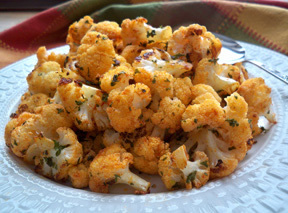 Add cauliflower and cook until tender, 7-8 minutes; drain and keep warm. In a saucepan over medium heat, melt 2 Tablespoons butter. Add flour, whisking to blend and cooking for 1 minute. Add milk and cook until thickened, stirring constantly, approximately 8-10 minutes. Remove from heat and stir in nutmeg, 1/2 cup Fontina or Cheddar cheese, Parmesan cheese, chives and pepper. Pour 1/3 of cheese sauce into casserole dish. Spoon cauliflower into dish, then pour remaining cheese sauce over. Combine breadcrumbs with remaining cheese. Sprinkle bread crumb mixture over the cauliflower and cheese sauce. Drizzle with remaining 1 Tablespoon melted butter. Bake until mixture is bubbly and bread crumbs are lightly browned, about 20-25 minutes. "Unbelievable good! 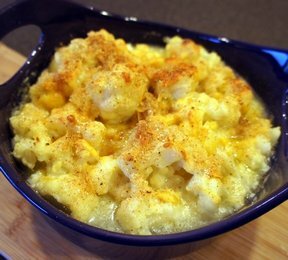 I didn't think cheesy cauliflower could get any better but this one proves it does! I have to make this for my daughters because they will love it!"